Welcome to Tano Jewelry, the most affordable online boutique for Fashion Jewelry, Headbands and Wholesale Fashion Jewelry. Our mission in life is to provide our shopping fashionistas with the latest celebrity inspired fashion jewelry at the most affordable prices. Over the past 10 years, celebrity fashion jewelry has found its niche in Hollywood and the Fashion World. Cost conscious fashionistas are popping up everywhere and why not? You can look stunning in similar fashion jewelry that celebrities wear for a tenth of the price. Tano Fashionistas don't need a personal stylist or a thousand dollar bankroll to look beautiful. Jewelry Judaica offers the latest in jewish jewelry fashions including Chai jewelry, star of david jewelry and the Sterling Silver Hamsa Evil Eye Red Leather Bracelet. Shop jewish jewelry styles today. are the hottest accessory right now. In the past year or two, headbands exploded into the fashion mainstream, and now there's a headband style for every woman. Another reason to give headbands a try: they're so irresistibly cheap! The special girl will love you for it! Never have a bad day again and show off your celebrity style. Headbands are so versatile and are available in so many styles, why resist them? Indulge yourself and add your own unique style to make it your own. Jelly Headbandshave been one of the most popular headband styles in 2008 and is sure to carry over into 2009. Jelly headbands are cheap, lightweight and hold your hair like no other. Find the perfect Jelly Headband today. Double Headbands are lightweight and available in so many different styles. Double headband make the perfect gift and no girl can resist. You can't go wrong with the perfect double headband. Headbands are the easiest way to add that extra bit of something special to your outfit. A stylish headband adds a splash of color and top off a look like no other accessory can. If you're into bohemian chic fashion like Sienna Miller or Nicole Riche, browse some of the gorgeous scarf headbands styles. These add an extra shot of interest to your favorite boho-chic outfit and are available in so many patterns and colors, you're sure to find a great fashion headband to go with anything in your wardrobe. If you like your style fun and flirty, try funky jelly headbands. These headbands are featured in a wide range of colors and all have funky geometric patterns that will set you apart from the crowd. You can also be sure that these jelly headbands will fit you perfectly; they mold to your head allowing a perfect fit every time. If you're looking for a bow headbands to compliment professional office attire, look no further than the bow headband section. These classics are available in a variety of different colors and styles, and all feature that classic snakeskin pattern that will compliment any work outfit you put together. Go bold and accent your outfit with a shot of red or blue, or keep things simple and traditional with a basic black or brown headband. With so many options all at such great prices, you can stock up on all of your favorites! It is our mission to provide you a cost effective way to look absolutely stunning in whatever you are wearing. Fashion Jewelry is so popular because of the cutting edge styles and versatility. The increasing demand for Costume Jewelry has created an influx of supply and now more than ever, there are endless choices of fashion necklaces, fashion earrings, bangle bracelets and, fashion headbands. The versatility of fashion jewelry is increasingly important whether you are looking for a classic, elegant look or a fun, attention grabbing piece. Fashion Necklaces are the perfect complement to a little black dress or a v-neck with blue jeans. With price points of less than $15, you won't ever have buyer's remorse. 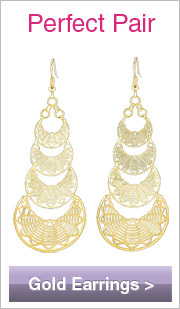 Fashion Earrings are less than $10 and can be the finishing touch to your favorite outfit. Celebrity Jewelry at affordable prices allows you to be on the leading edge of fashion without having second thoughts. Bangles are currently one of the hottest celebrity trends. Everyone from Jennifer Lopez to Jessica Alba is seen stacking bangles at the posh Hollywood events. Tano Jewelry has affordable, lightweight wood bangles in the most spectacular colors. Our Bangle Bracelets are hand-made from Mango Wood and hand painted with bright, vibrant colors and a finishing gloss. They are the ultimate celebrity accessory. It is difficult to do these bangle bracelets any justice in photographs, but we have tried and know you will love showing off the latest Hollywood trend. Don't miss the latest trends in Paris Hilton Fashion. Jewelry Sets give you a stunning look on every occasion. Tano Jewelry brings you the hottest fashions in Fashion Necklace and Earring sets. Whether it's looking hot for the club or dressing up for a formal event we have the accessories you need. Let yourself go, be the Celebrity at your event and walk the red carpet in the set that's right for you. Why spend $100's of dollars on a precious metal jewelry set when a Fashion Jewelry Set on TanoJewelry.com costs less than $25? We carry the latest styles of jewelry sets, which include a gorgeous Necklace and matching Earrings. We carry Fashion Jewelry Sets that are long and short. 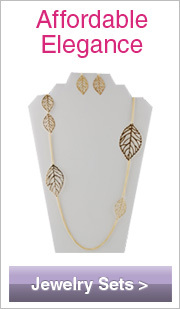 Our bestselling jewelry set is the leaf necklace set. This set is a classic combination of Gold leaves and chain with a captivating earring set. This set makes the perfect gift and is sure to be adored by its new owner. If you love to stay trendy and in style, but don't have a lot of money to do it, now you can get fashion jewelry at great prices. Love those leaf earrings Paris sported on the red carpet? They're available right here at a fraction of the cost of those fancy boutiques. Do you adore Nicole Richie's boho chic style with oversized bangles and head scarves? Both are available here in a variety of colors and styles to fit your fashion personality. Try a retro scarf headband in sweet polka dots to accent your outfit and add a pop of color and interest. There are also a wide range of bracelets to choose from, from colorful bangles that you can mix and match, to stylish gold cuffs that will look great for that special occasion dress that you're having trouble accessorizing. You can never go wrong with the great versatility and fantastic prices of fashion jewelry. Dress up your favorite pair of blue jeans with stylish chandelier earrings, or take office wear from boring to fabulous with a long clover necklace inspired by Heidi Klum's fashion jewelry line. Offered at such a great value, you're friends will never know you didn't spend a bundle at a fancy boutique. You'll look effortlessly put together and beautiful no matter what the outfit, and you'll never have to worry about breaking the bank again for your favorite fashion jewelry. is here! Tano Jewelry now offers our entire product catalog at wholesale prices. Including Wholesale Necklaces, Wholesale Bracelets, Wholesale Earrings and Wholesale Headbands. Any business or individual with a reseller permit number is eligible for a wholesale account. We have dedicated employees, buyers and manufacturers in Southeast Asia who are trained in indentifying unique, cheap fashion jewelry. It is imperative for the success of your business to carry distinctive fashion jewelry. Fashion jewelry Wholesalers in general visit the same trade shows, exhibits and manufacturers in China and Thailand. The market is saturated with identical wholesale fashion jewelry or wholesale costume jewelry and it seems every store offers the same merchandise. It's not uncommon to go to trade show in the United States and see the exact fashion accessories in adjacent booths. Distinguish your business from your competition with quality, unique fashion jewelry. A partnership will be profitable and enjoyable. Unique fashion accessories from Tano Jewelry will make a difference in your level of success and profitability. We have an extensive collection of necklaces available at wholesale prices. We carry affordable Celebrity Necklaces, Gold Necklaces, Shell Necklaces and Silver Necklaces at prices ranging from $7-$9. With price points this low, you can achieve higher mark-ups and profits. Wholesale Fashion Necklaces. Headbands are high fashion and there is no better time to start carrying them. Wholesale price points are low and available at high quantities to fill the demand. Don't miss our most popular headband section - Designer Headbands. These headbands will fly off your shelves as they are already are for many of our wholesale clientele. Wholesale Headbands. Tano Jewelry offers discount wholesale fashion jewelry enabling you to realize profitable margins. 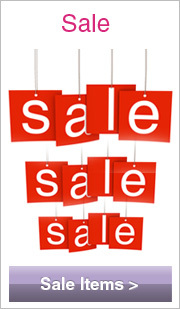 Discount doesn't mean "cheap" wholesale fashion jewelry. Our fashion jewelry is high quality and manufactured to a higher standard than many jewelry suppliers. Allow us to compile a wholesale costume jewelry package that fits your business. Wholesale prices are determined on an individual item basis. The larger the quantity or dollar amount ordered, the deeper the discount. You can start realizing the benefits of true wholesale jewelry for orders starting at $200.00. Open a Wholesale Fashion Jewelry Account Now! We have wholesale fashion jewelry available to purchase for businesses and individuals. For business to succeed, you need to offer unique wholesale fashion jewelry pieces that are distinct from your competitors. Unfortunately, wholesale fashion jewelry buyers often visit the same wholesale fashion jewelry manufacturers and factories purchasing the same wholesale fashion jewelry to sell to you. That means that the businesses around the corner and down the street are selling the exact same items you are, and that isn't good business. Our wholesale fashion jewelry buyers scour manufacturers all over Southeast Asia looking for only the most unique and distinctive wholesale fashion jewelry to offer you. For as little as $200, you can get wholesale fashion jewelry items such as fashion headbands, earrings, necklaces and jewelry sets to offer to your customers. Our buyers are trained to purchase only the most unique items to bring to you, so you can offer unique items to your customers. We have a variety of different plans available to fit your needs. Try our wholesale fashion jewelry Bestsellers Package that features tried and true favorites for consumers throughout the country. With so many options and choices at such great prices, you won’t be disappointed. Contact us today to find out more about purchasing wholesale fashion jewelry at great discounts. Styles change every season, and it can be hard to keep up on what's in style and hot. One way to stay constantly up to date on the latest goings on in the fashion industry is to check out the latest fashion magazines. Those like Vogue, In Style and Elle are the leading magazines in the industry. So just what are those fashion magazines saying are the current fashion styles this season? When it comes to current fashion styles in clothes, it's all about menswear for women. This doesn't mean you should shop in the men's department, but you should look for pieces that are inspired by men's styles. Think of the classic white button down shirt and a trouser. You can add a feminine twist to this style with a white button down shirt with ruffles at the collar, or a hot trouser jean that's flattering in all of the right places. These items are classic pieces that will take you into the next season and beyond. Some of the current fashion styles for accessories are boots in all kinds of colors and styles. Invest in a pair of chic riding boots to wear with nearly anything in your closet, from a skirt, to jeans, to a suit, or try the super trendy bootie. These reach only to the ankle and are great with anything from your favorite jeans to a skirt and tights. Another fashion accessory must have is a great belt. Not only do they cinch you in at the waist, but this must-have accessory is great for taking last season's pieces into this season. Love last season's baby doll dress but wouldn't be caught dead wearing it this season? Cinch a cute belt above the waist and you have an instantly updated piece. Pair this with a long-sleeve cardigan and your new booties, and you've got a cold-weather outfit that'll look stylish and trendy. Another hot trend this season is jewel-toned pieces. This applies to all items in your closet, from jewelry, to clothing to accessories. Grab that beautiful amethyst handbag you've been eyeing and throw it over your shoulder for this season's hottest look. For cold-weather style, pair wine-colored tights with the super cute open-toed booties. This is a great current fashion style combination that'll take you from summer to fall while still keeping you warm. You can also apply the season's hottest colors to your jewelry. Think bright sapphire fashion headbands and oversized rings and bangles to accessorize your outfit. These pieces are all hot this season and are great for day or evening wear. If you're afraid of the bright colors because you're not sure how to match them, don't fear! These colors are so deep and saturated, they're not meant to match what you wear, they're meant to compliment it. Browse all of the season's hottest styles and more and stock up on all of your favorite style must-haves! 7/12/08 Fashion Earrings Article - Gold earrings available in exquisite and sparkling designs portray the attitude and panache especially for women during special occasions. These classy earrings can enliven a fashion wardrobe, and create a sense of euphoria, within you. 7/04/08 Summer Hair Accessories Article - Social Occasions - In social and formal occasions you have a better chance to touch on your artsy side through hair accessories. You can select obscure pieces or bright hair accessories. Classy hairpieces can be the perfect pick for social occasions, while a small spray of flora or garnishment may be desirable for all formal occasions. As always, remember to take one thing off before leaving your house. Don’t overdo it and most people over do it. Essentially, you are accentuated your hair with an ornament. Your hair is the real star of the show. If you are stuck in hesitation, opt for the straightforward solution: use as little as possible. 6/06/08 Fashion Jewelry Tools Article - Make sure that you work under a good light. An adjustable table lamp is ideal because the light can be directed to shine onto your work so that no shadows are cast. Bear in mind that when you are soldering and annealing you need to be able to turn off the light, so make sure the switch is within easy reach. Protect the area of your jewelry bench or table that you use soldering with a metal plate of some kind – an old roasting pan would be ideal and stand the soldering block or charcoal block on the metal so that the surface of the bench is not damaged by the flame of the torch. Small soldering jobs can be done with a portable gas cylinder torch, but for everyday use, you will probably find a blow torch that uses propane gas and your own breath more than adequate. 5/15/08 Wholesale Fashion Jewelry Article - The jewelry industry can offer thrilling moments and well-paid opportunity. There are a lot of fields to the business including designing, the goldsmith, the gemologist, the buyer, the store manager, the watchmaker, sales, and store ownership. Each has precise requirements in training and know-how is required in order to achieve something and turn out to be profitable. With appropriate guidance and hard work you can accomplish any amount of success that you set your mind to. 3/02/08 History of Jewelry Article - Oriental Jewelry – Jewelry became popular in China during the Song dynasty (960-1279). The Chinese favored silver, enamel, feathers, and jade. Jade was often carved or polished and combined with metal. Chinese jewelry was very delicate and elaborate and often took the form of ornate headdresses. Japanese jewelry was similar to Chinese jewelry. However, the Japanese first used jeweled objects to decorate swords and ceremonial objects. Later, they began to wear jewelry as a personal adornment. Japanese jewelry consisted primarily of earrings, hair ornaments, necklaces pendants, and rings. 2/14/08 How to Make a Scarf Headband - 1) The first step is to take the measurement around the head to the nape of your neck. 2) It should be noted that the rectangle of fabric is double the width of the headband. You should have at least the length of the circumference of the head minus ~3 inches (this is to enable the elastic band to incorporate into it and allow it to stretch). 2/05/08 Make a Soft or Baby Headband Article - 3. Wrap the headband in ribbon, starting at one end, wrapping the entire head band, then ending by allowing the ribbon to reach from the last end, back to the first end, with the allowed extra measurement. This will be a headband with a piece of ribbon attaching the two ends together. 1/7/08 Heidi Klum Fashion Biography Article - Heidi envisioned the clover as an ornamentation piece and uttered her wish to feature the symbol into the design of a jewelry line. "I think it's beautiful as a woman to have a good luck charm that you can keep with you that someone can give to you. It's sugary and significant," says Heidi. The clover ornamentation has long been accepted as the worldwide symbol of good fortune and remains the leading theme of the Heidi Klum jewelry Collection. The compilation is for the fashion aware woman of today’s world whose preference in jewelry is eternal and elegant; much similar to Heidi Klum individual style and beauty. 1/01/08 Headband Styles Article - Jelly headbands look like an unbreakable headband but it is in fact made of a plastic or rubber with an attached rubber band for grip. 8/1/07 Fashion Jewelry Sets Article - Bridal jewelry sets are usually based on conventional styles. Gold jewelry sets are often used at wedding. The right bridal jewelry sets can be a perfect compliment to a bride’s ensemble, while always keeping in mind that your individual style and budge is most important. 7/5/07 Costume Jewelry Article- Tano jewelry, presents stunning jewelry with its luminous display of various colors, definitely makes any evening or casual outfit most elegant with facets shimmering in the candle light. Pin up necklaces can be found and also rockabilly necklaces as well if you are a dire fan. Necklaces are a great way to make a statement and show the world that you love pin ups. The pin up necklace is made is such a way that it shows pin up women in their full pin up fashion glory and showcase them at the height of their era and time. Wearing rasta thread earrings can help show your love of nature while making you look fashionable and fantastic. These thread earrings compliment your entire outfit. There is never a mad scramble for jewelry while getting ready, instead pick your favorite pair of rasta string earrings. A Red Headband can give glamorous look to any outfit, whether it is casual or black tie event. These timeless pieces can give you a look of culture and sophistication that will really stand out, making you shine. Red Headbands can come in many different lengths and designs, but they all add an element of class to any wardrobe. A Blue Headband can be a fabulous gift, to a friend, a loved one, or even to yourself. There are a wide variety of styles to choose from, and go pefectly with your favorite pair of earrings. Whether you prefer short studs or long dangling earrings. Blue Headbands can be elegant or extravagant, depending on their design and your mood. A polka dot headband can be very versatile, and can create many different looks. When worn straight, they can reach quite a ways and give a simple look that enhances everything you wear. A Feather Headband can be a perfect jewelry accessory with any sun dress or tank top, or any other outfit for that matter. These headbands bring to mind the seashore, and the fresh open air and scenery. This makes them perfect to go with any summer outfit regardless of how dressy the attire is. 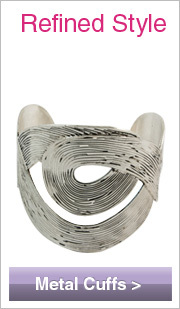 Arm Cuff can be fun and fashionable to wear. These bracelets come in many different widths and designs. A copper colored cuff bracelet with a leaf pattern will go well with an elegant evening gown or a pair of jeans and a tee, and look at home on either outfit. Black Bow Headbands can be an incredible jewelry accessory for anyone who wants to dress fashionably. A black bow headband can be mesmerizing, and add a touch of class to your wardrobe that can not be matched, with the stitched black cloth making an attractive conversation piece. Bow Headbands can really help you stand out in a crowd. Ribbon Bow Headbands are a great way to ensure that you are dressed and accessorized to the height of fashion. Whether you enjoy ribbon bow headbands that are out of the ordinary, or you prefer celebrity fashion earrings that make the stars look out of this world, ribbon headbands have what you are looking for to dress up your outfit. Thread earrings are some of the hottest new fashion jewelry around, and it is no wonder because these exquisite fashion accessories can really light up your wardrobe. Thread earrings are delicate and very feminine, and bring out the true lady in all of us, with varying shades of color to draw attention as well. A delicate framework of material surrounds an extraordinary arrangement of stripes, available in different colors and this is what makes striped headbands so popular. A Striped Headband has become very trendy in the fashion world, with everyone from teachers to celebrities enjoying striped headbands and looking great while doing it. A black headband is the best headbands to use, because they actually grip your hair and do not slide out. These headbands are available in many designs, including hearts, checkers, prints, and cutouts of assorted shapes. Black headbands offer a great way to keep your hair in place and look fabulous at the same time. Large Silver Rhinestone Hoop Earrings can be a terrific deal for many reasons. These hoop earringslooks fantastic, is very inexpensive usually, with most pieces costing less than twenty dollars. Buying silver hoop earrings, whether to wear, sell, or give as gifts, just makes great sense. Double Headband scan be fun and cheap. These Headbands can be worn singly, or with other jewelry to make a statement, as well as music when they hit together. Double headbands are made from quality materials but they all share one trait, and that is they look fabulous. A Silver Handcuff Necklace can be the ultimate fashion jewelry accessory kit. Handcuff Necklace has a terrific look, with small silver cuffs strategically placed for the best effect. Unique and mesmerizing look that is very much in fashion right now. A Plaid Headband can be a great item of fashion jewelry to own or give as a gift. These exquisite plaid headbands give you a fantastic look and style without any effort at all. A plaid headbad can be the perfect fashion jewelry accessory to make you stand out. Scarf Headbands offer many benefits, and the items included in these sets all have a great style and fabulous design. Cheap Scarf Headbands allow you to purchase all the fashion jewelry you need quickly and easily, in one set. The items all match and complement each other, and scarf headbands are available for any type of fashion jewelry. A white headband is one of the most basic fashion accessories, and everyone should own at least one or two. White is a color that goes well with almost anything, including solid colors, prints, patterns, and more. A white headband offers a perfect way for you to keep your hair in place while looking stylish. A Feather headband is the perfect headband style in 2009. Feather Headbands are on runways from NYC to LA. There is no reason to spend $100's on a feather headbands when Tano's feather headband is $14.99. Rock your feather headband today and look like a bonafide celebrity. TanoJewelry.com receives an average of 1000 visitors a day and it's thanks to SEO Services Los Angeles, which is the premier SEO Company Los Angeles. We would be nothing without search engine optimization and recommend their services to anyone who will listen. Looking for the latest Headbands? We feature some of the hottest style on our sister site. Looking for the lastest shoes? Shoe Blog has all the reviews and fun tips you need.